Outside their natural habitat of steep skin tracks and steeper couloirs, the native women-of-winter can only be found in avant-ski or après-ski mode. 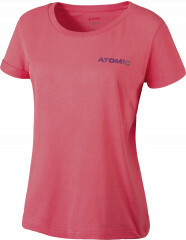 Atomic realized the natives needed some functional casual apparel to compete with their high-tech ski gear. A 50/50 cotton and polyester blend offers a perfect balance between breathability and comfort. Fit is spot-on. The Alps T-Shirt is the avant-ski and après-ski attire of choice. Also, summer skiing! 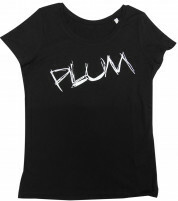 Silk Screen Printed Graphic ensures vibrant colors and durable labeling. Double Folded Sleeves: suns out, guns out.